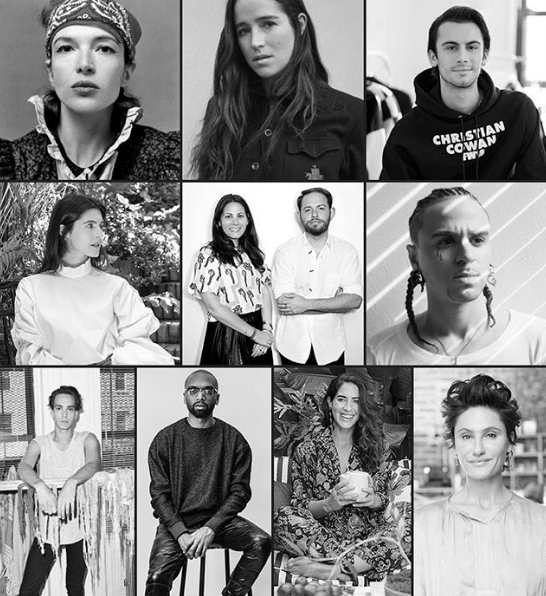 The annual CFDA/Vogue Fashion Fund is aimed at giving emerging designers a headstart at developing their own fashion brand with a year of mentorship and a $400,000 prize. The highly-competitive fund is going on its 15th year with previous winners like Alexander Wang, Public School, Gypsy Sport, and Telfar going on to cement their names on the world stage of fashion. The winner and runners-up will be announced November 15th at a fashion show and gala in New York. In the coming months, the designers will meet with judges in their respective studios and be mentored by CFDA designers and fashion executives as a part of the program. This entry was posted in Latest News, Real life and tagged Andrew Rosen, Anna Wintour, Batsheva, Batsheva Hay, Bode, CFDA, Christian Cowan, Danielle Corona, Diane Von Furstenberg, Emily Adams Bode, Eva Chen, Hunting Season, Jeffrey Kalinsky, Jonathan Cohen, Jonathan Cohen and Sarah Leff, Joseph Altuzarra, Kerby Jean-Raymond, Luar, Mark Holgate, Matthew Adams Dolan, Nicole Phelps, Pyer Moss, Raul Lopez, Rebecca de Ravenel, Roopal Patel, Scosha, Scosha Woolridge, Steven Kolb, Vouge. Bookmark the permalink.